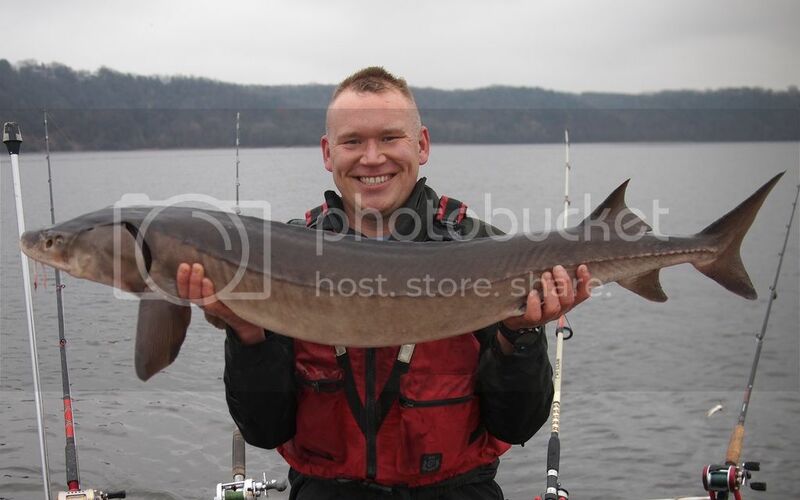 Here's a couple of the Sturgeon I caught on the Saint Croix early Friday morning. What did you catch them on (artificial or live bait)? Nice Eddie! What did you catch them on (artificial or live bait)? We netted some shad with a cast net and used the shad as bait on the bottom. I probably should have photo-documented the entire process. It was pretty awesome. Sturgeon are a riot. I fish them on the St Croix some, and try to make a trip to the Rainy for them if I can - although it didn't happen this year. A couple falls ago two buddies and I got 36 in 2.5 days on the Rainy, most between 45 and 55 inches, up to 63 - we had to chase that one for a bit. By the end of it catching a big one was actually painful. My forearms hurt for two days afterwards. I use basically the same gear I use fall trolling muskies, and I can whip a 54" muskie in under 5 minutes. A big sturgeon can take 15 minutes or more. I know a lot of guys that claim flathead cats are the hardest fighting fish in fresh water, but honestly, if you hooked a sturgeon in the same cover you haul a flathead out of, you'd never land one. They're an amazing fish. If you get a chance to go fish for them, do it. Short Video of some Rainy sturgeon. 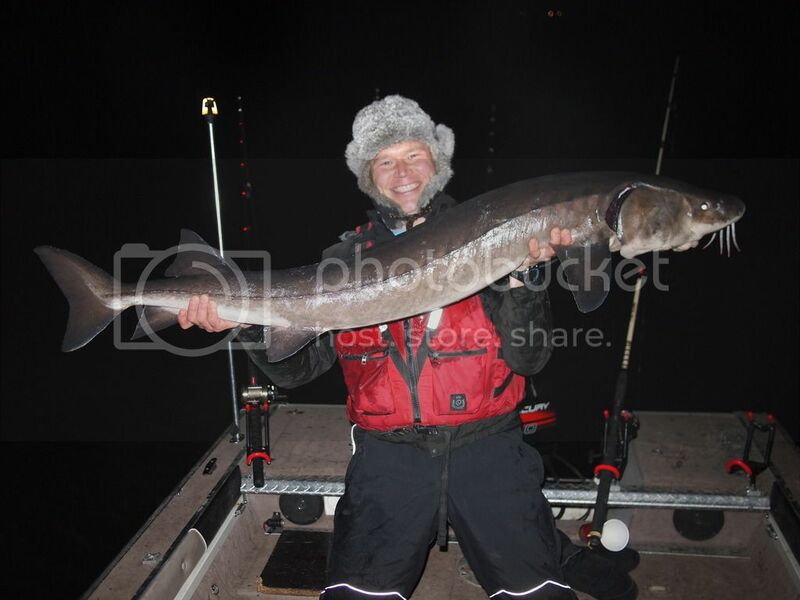 I have this 11' rod I use for channel cats that I thought it'd be fun to catch a sturgeon on. I was hoping for a nice 45 incher. Ended up being 54, and about killed me. Put the thing away after that.